how to choose a mat! If you're a yoga enthusiastic, then it goes without saying, you need a mat. But before buying one, there are a number of factors to consider. Material. Surface area. Thickness. Your personal style of practice. Yoga mats are not a one-size-fits-all product. Here are five ways to choose the right mat. The type of mat you need depends, to some extent, on your body type. People with less cushioning (i.e. slimmer physiques) may enjoy a thicker mat or a cushioned mat, that will provide a little more padding. Yoga mats usually run between 1/8" and 1/4" thick. Consider a thicker mat if you have a lean physique. Same goes for if your bones get sore easily; thicker mats can be easier on the joints. Also, keep length in mind if you are tall. A typical yoga mat is 68" long, which may not be long enough if you're on the taller side. Consider an extra long mat if you're more than 5'6" tall. The type of yoga you practice can also influence the type of mat you should buy. For instance, when you're first starting out, you might want to try an entry level mat. Starting with a less expensive mat now can give you the time you need to learn what you like and what you don't like, so that you can invest in a higher quality mat later on. Flow classes require more technical movements, so you might want a mat with more grip to keep your legs and arms in place. For yin classes, however, you'll mostly be sitting on the floor, so grip is less important; instead, get a softer, more cushioned mat. If you're into hot yoga, you might choose a mat specifically made for the heat. Some mats use different materials to stop your sweat from being absorbed into the mat and ruining the material. Where you are going to practice also makes a major difference in what type of mat you need. For example, if your practice is usually at home, you don't need to worry about the weight of your mat. But if your studio is beyond your front door, you might consider a mat that's easy to take on the go. 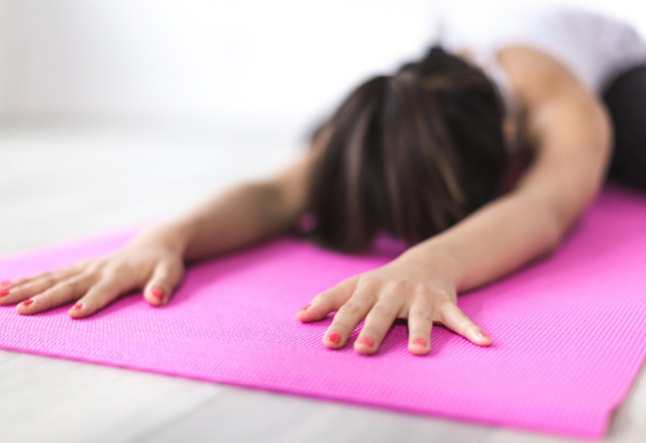 Polyvinyl chloride (PVC) is still one of the most widely used materials in yoga mats, yet it's rumored to be a carcinogen, and it's very hard to recycle. So if you're a health-conscious person (and we know you are because you're reading YOGI TIMES! ), you might want to avoid a PVC mat all together. Choose a mat crafted from natural plastic or rubber instead; it's just as easy to find, but is a better choice for health-conscious yogis. A silicone mat is another good alternative - they're readily available and relatively inexpensive. Mat surfaces can vary so be sure to feel around before making your choice. Grippier mats generally have a rougher surface. While this may irritate sensitive skin, it can be helpful if you're doing type of yoga that involves a great deal of strong poses. Slicker mats may feel better to the touch, but can get slippery when wet. The appropriate mat will help give you the base you need for a strong practice, so choose wisely. And remember, as your yoga evolves, so too can your equipment.